Andre Aciman has been hailed as "the most exciting new fiction writer of the twenty-first century" (New York magazine), a "brilliant chronicler of the disconnect...between who we are and who we wish we might have been" (Wall Street Journal), and a writer of "fiction at its most supremely interesting" (Colm Toibin). Now, with his third and most ambitious novel, Aciman delivers an elegant and powerful tale of the wages of assimilation-a moving story of an immigrant's remembered youth and the nearly forgotten costs and sacrifices of becoming an American. It's the fall of 1977, and amid the lovely, leafy streets of Cambridge a young Harvard graduate student, a Jew from Egypt, longs more than anything to become an assimilated American and a professor of literature. 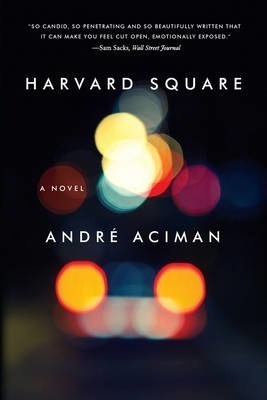 He spends his days in a pleasant blur of seventeenth-century fiction, but when he meets a brash, charismatic Arab cab driver in a Harvard Square cafe, everything changes. Nicknamed Kalashnikov-Kalaj for short-for his machine-gun vitriol, the cab driver roars into the student's life with his denunciations of the American obsession with "all things jumbo and ersatz"-Twinkies, monster television sets, all-you-can-eat buffets-and his outrageous declarations on love and the art of seduction. The student finds it hard to resist his new friend's magnetism, and before long he begins to neglect his studies and live a double life: one in the rarified world of Harvard, the other as an exile with Kalaj on the streets of Cambridge. Together they carouse the bars and cafes around Harvard Square, trade intimate accounts of their love affairs, argue about the American dream, and skinny-dip in Walden Pond. But as final exams loom and Kalaj has his license revoked and is threatened with deportation, the student faces the decision of his life: whether to cling to his dream of New World assimilation or risk it all to defend his Old World friend. Andre Aciman is the author of the novels Call Me by Your Name and Eight White Nights, the memoir Out of Egypt, and two books of essays. He is also the editor of The Proust Project. He teaches comparative literature at the Graduate Center of the City University of New York, where he directs the Writers' Institute. Aciman lives with his wife and family in New York City.